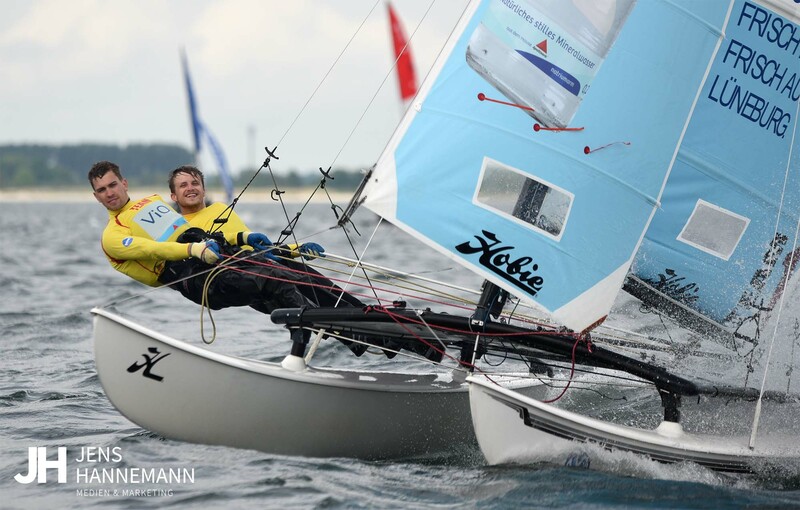 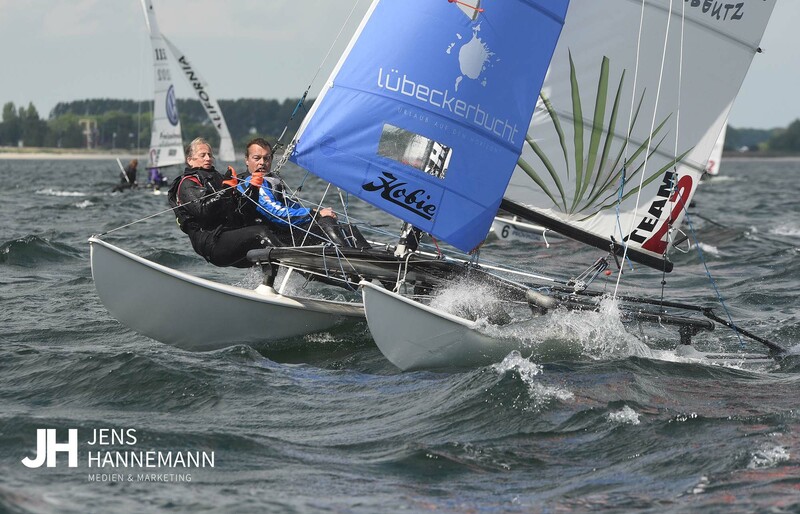 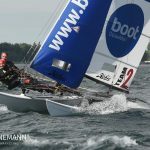 76 boats in the Hobie 16, Hobie 14 and O’pen Bic met for the start of the Super Sail Tour 2017 in Grömitz. 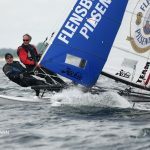 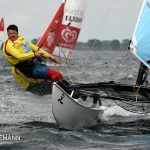 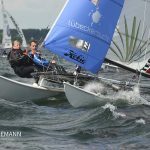 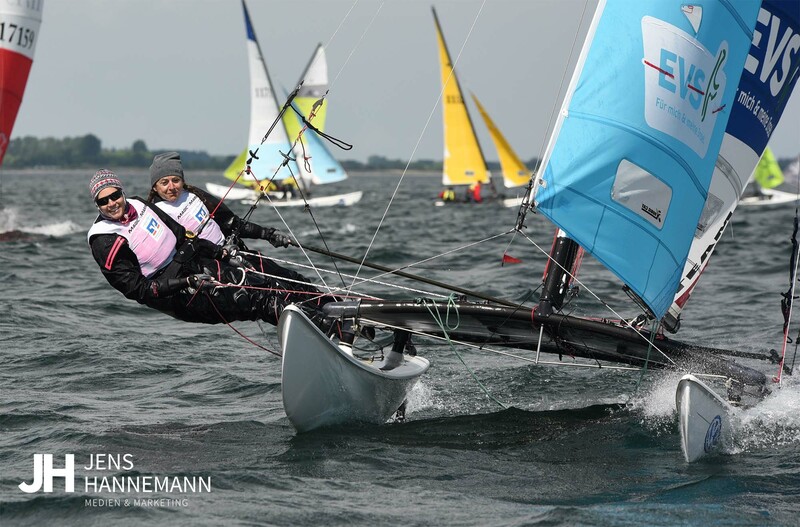 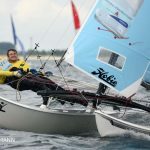 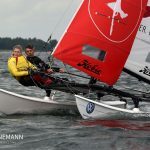 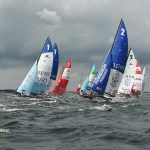 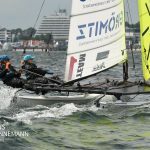 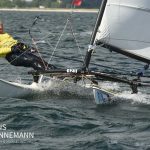 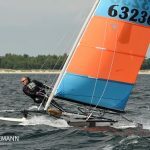 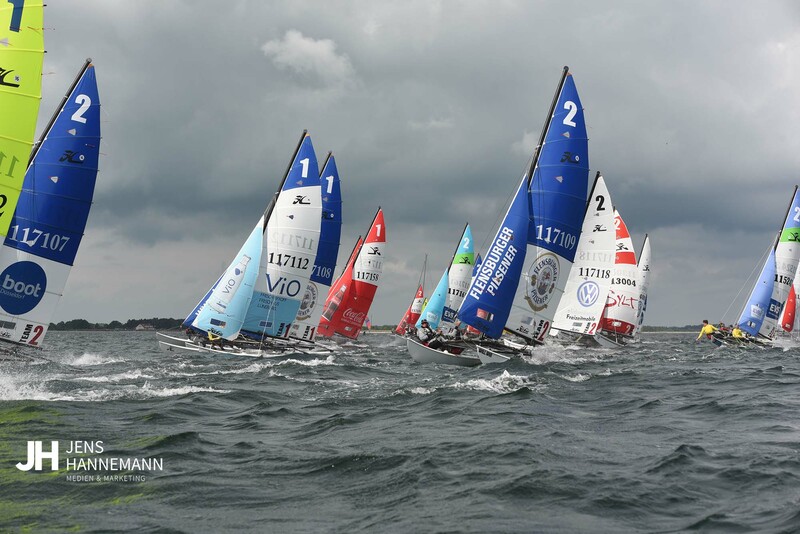 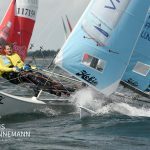 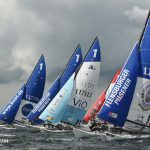 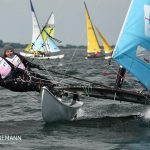 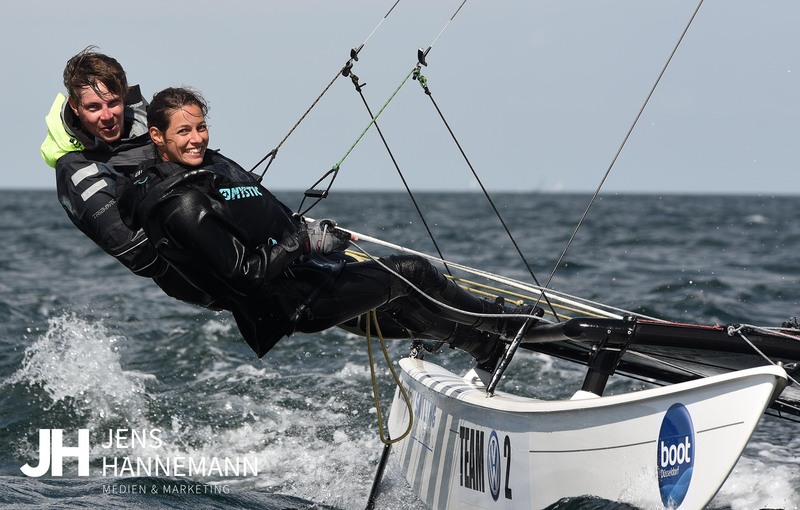 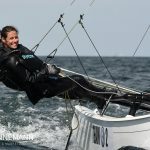 The Super Sail Tour, which took place this year for the 10th time in Grömitz, attracted many sailors who, despite the difficult journey through the motorways in Schleswig-Holstein, made a trip to the Baltic Sea. 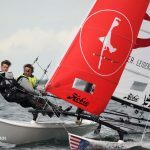 The weather and the wind forecast brought the sailors only one race on the first day, but the sunday was much better: 5 sailed races with the Hobie Cat can hardly been beaten. 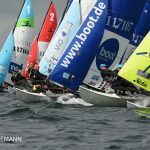 Once again, Grömitz made his reputation worthwhile. 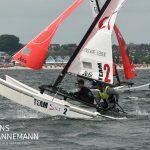 A pulling rain front on Saturday caused a lot of small wind shifts and wind holes, so not only the physical fitness on the water decided about victory and defeat but also the right tactical decisions. 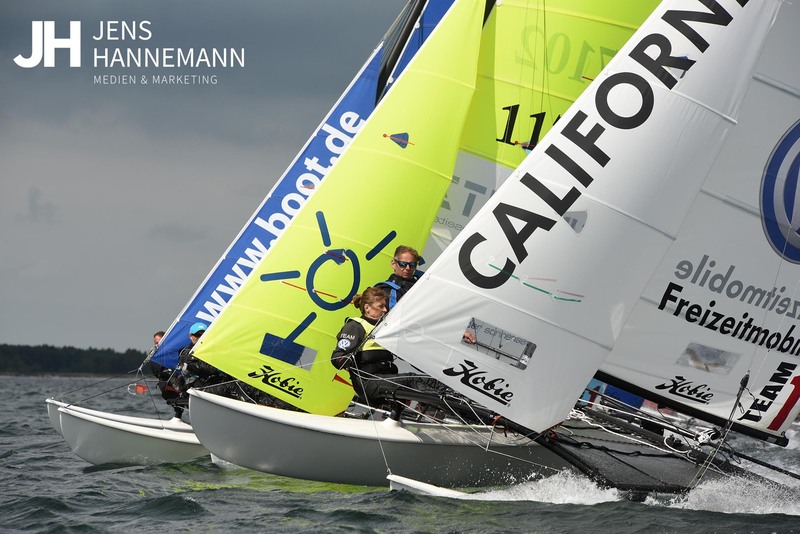 Once again, this was achieved by Detlef Mohr and his crew Karen Wichardt. 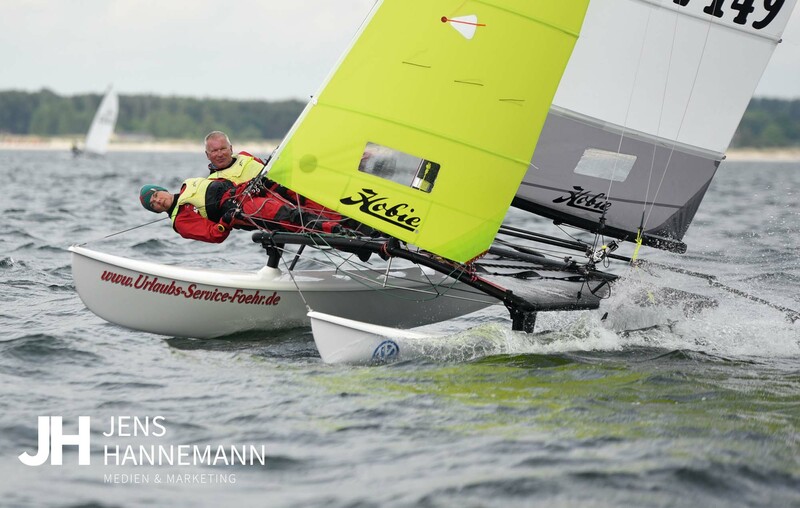 With only 7 points and a 5th place as a discard, they were two points ahead of Ingo Delius / Sabine Delius-Wenig and Lauritz Bockelmann / Kim Liedke. 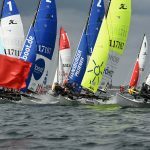 The final day demanded everything from the sailors. 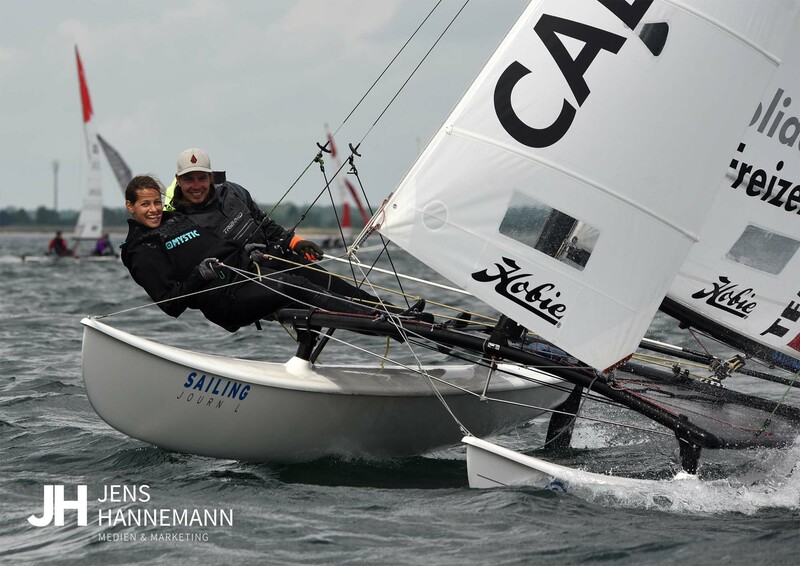 In the end, Detlef Mohr and Karen Wichardt were able to score one more day victory than Ingo Delius / Sabine Delius Wenig, which became second. 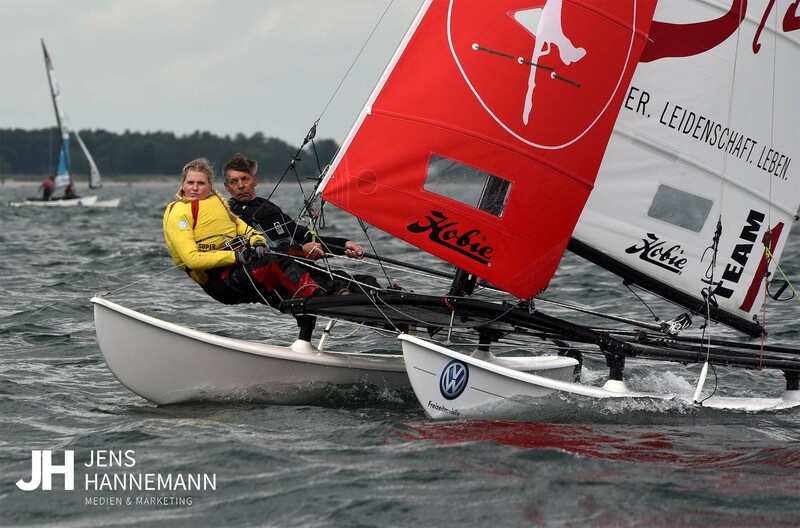 Lauritz Bockelmann / Kim Liedke came in third place. 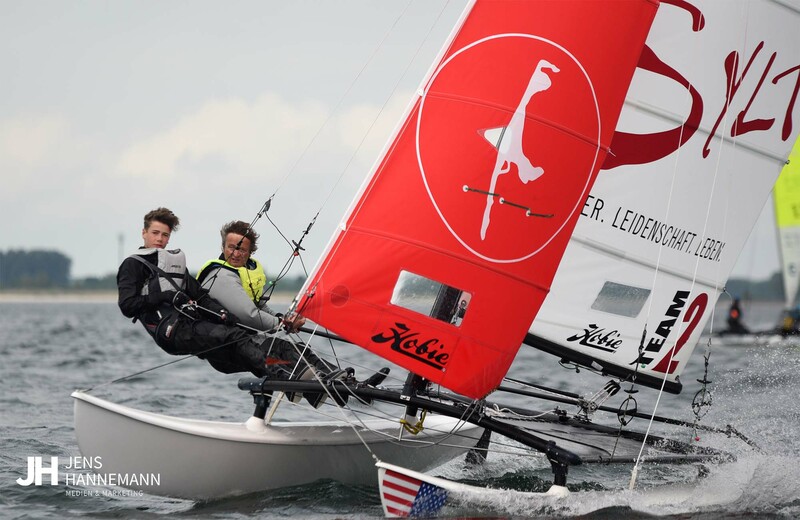 The Hobie 14 were as spectacular as the Hobie 16. 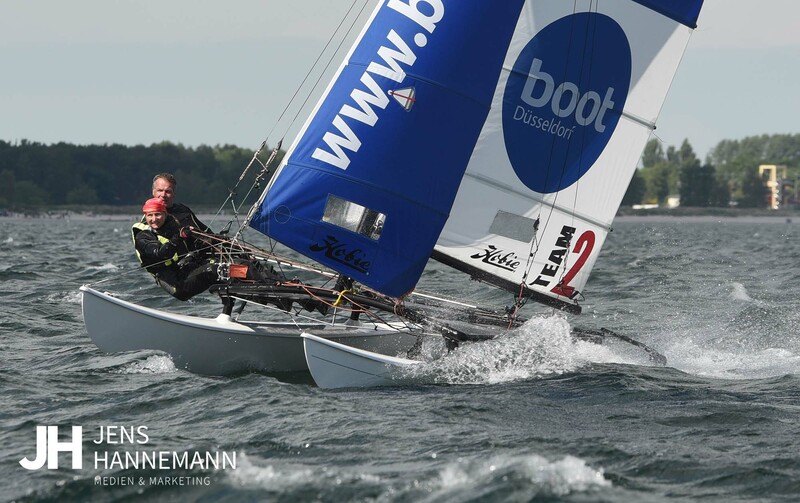 Markus Merten secured the victory with 14 points after 9 races before Friedhelm Weller and Tanja Rindt. 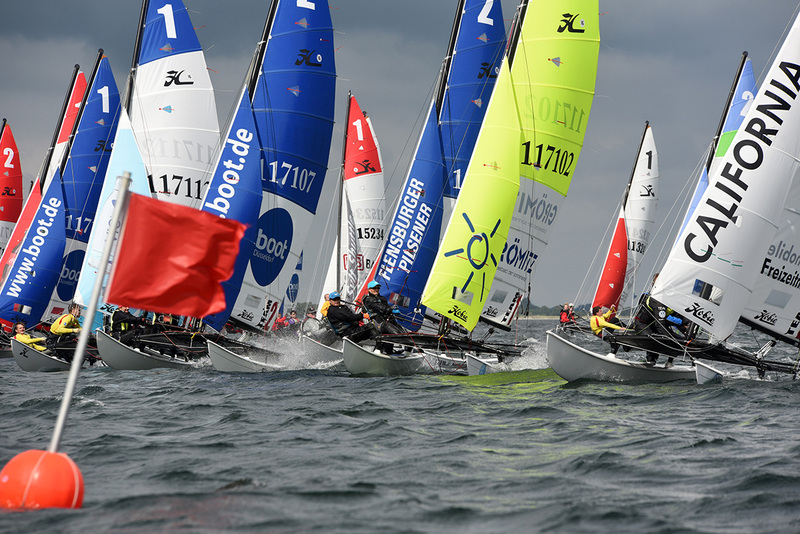 Besides the sport on the water, the Super Sail Tour on Pentecost had a lot to offer. 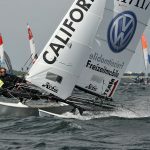 On three evenings live music was offered on two stages. 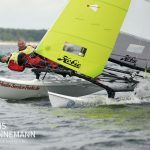 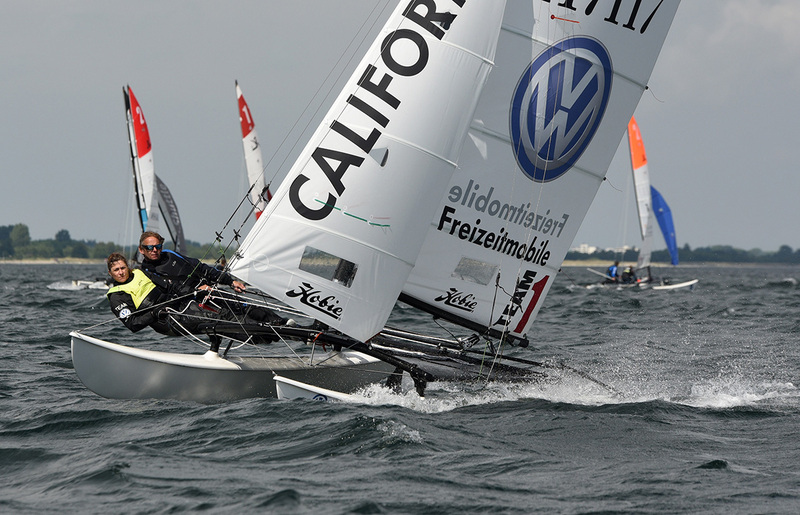 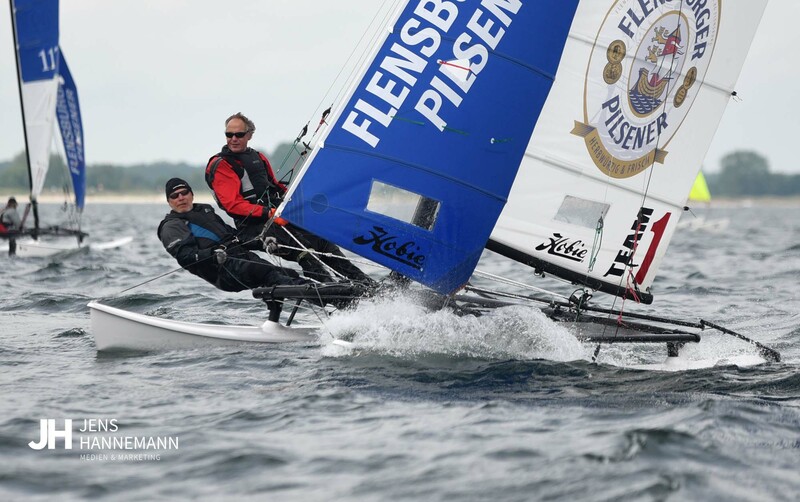 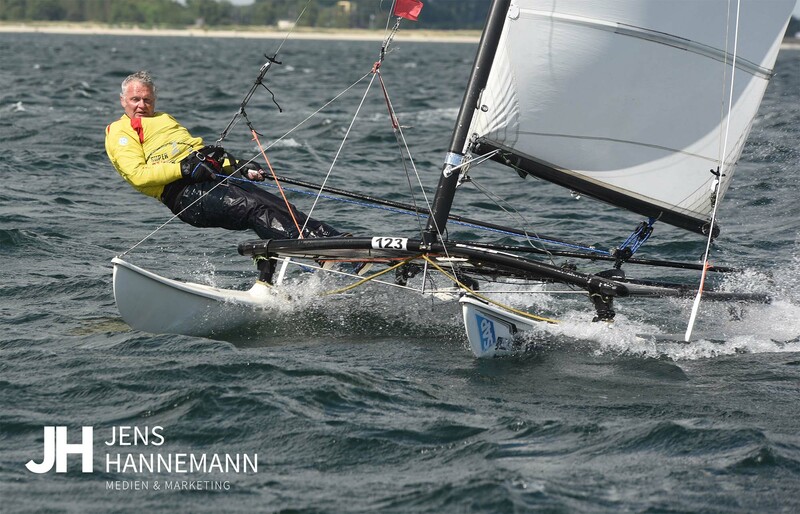 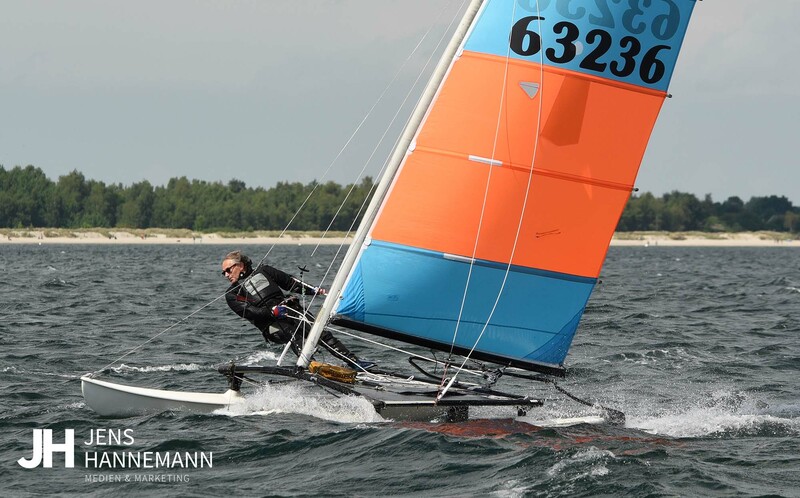 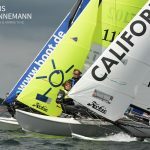 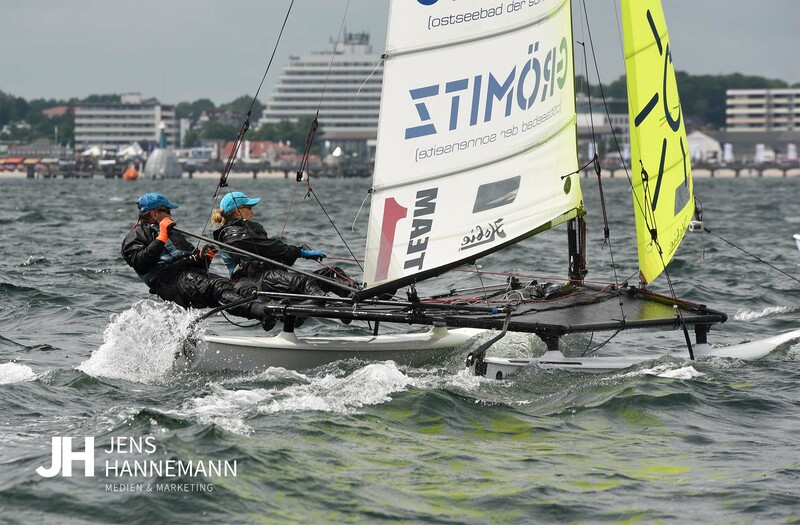 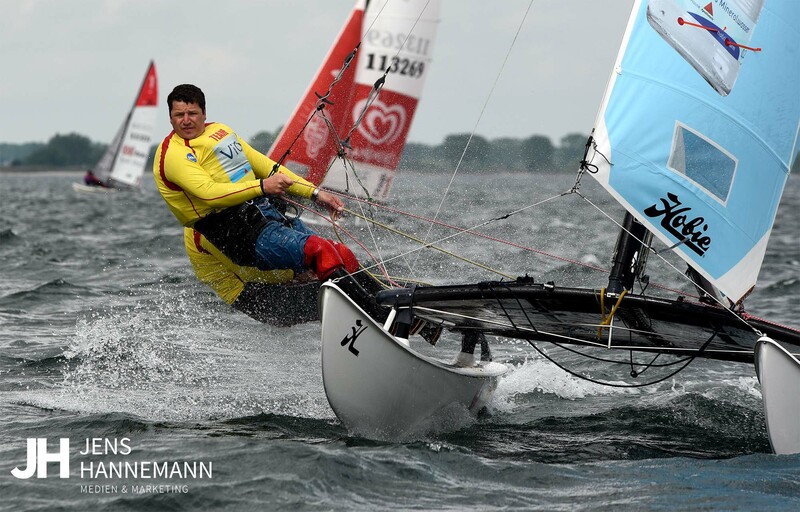 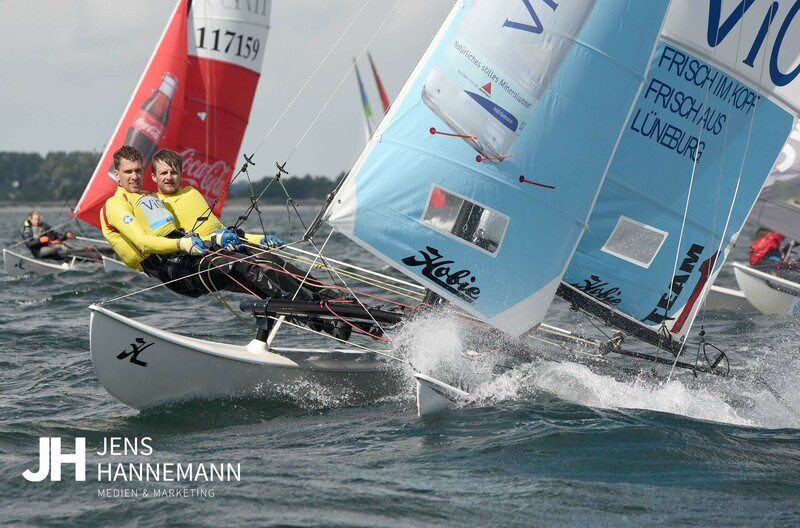 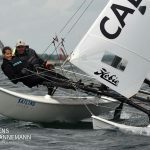 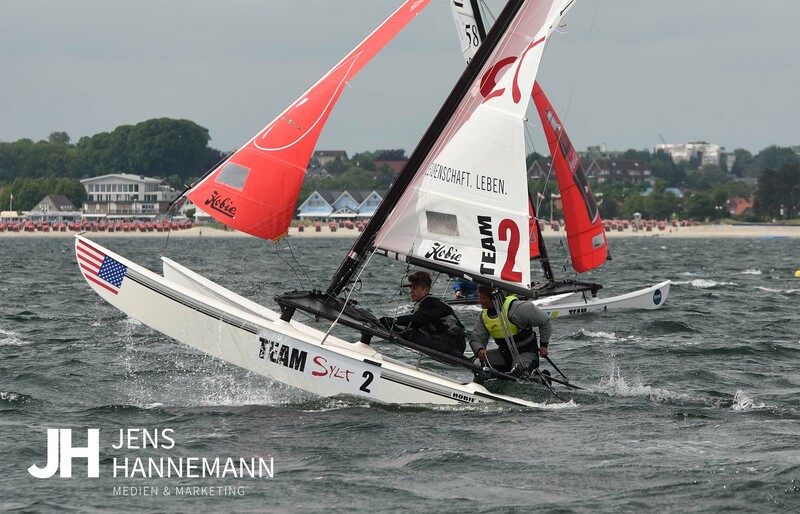 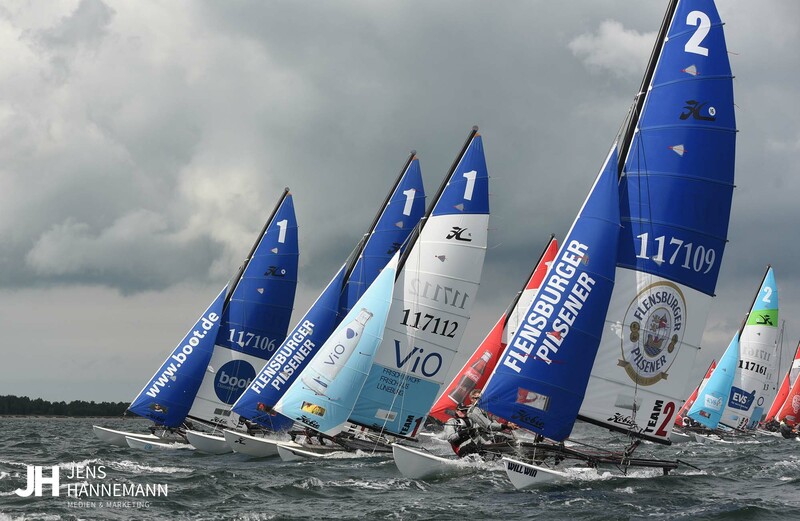 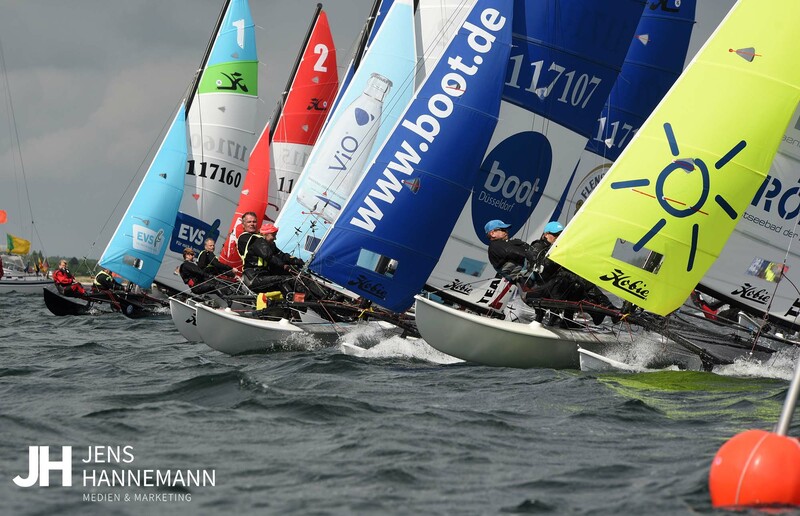 We continue with the Super Sail Tour on the 7th – 9th July in Scharbeutz and only a weekend afterwards in Kellenhusen, before the big final race in Westerland on Sylt in August.